(Book Jacket Status: Jacketed)The most generous one-volume collection ever published of short stories, autobiographical writings,poetry, and essays by the writer Yeats called “Ireland’s Chekhov.”Selected and arranged thematically by Julian Barnes, the rich mix of writings in The Best of Frank O’Connor starts off with his most famous short story, “Guests of the Nation,” set during the Irish War of Independence; chronicles his childhood with an alcoholic father and protective mother; and traces his literary influences in brilliant essays on Joyce and Yeats. O’Connor’s wonderfully polyphonic tales of family, friendship, and rivalry are set beside those that bring to life forgotten souls on the fringes of society. O’Connor’s writings about Ireland vividly evoke the land he called home, while other stories probe the hardships and rewards of Irish emigration. 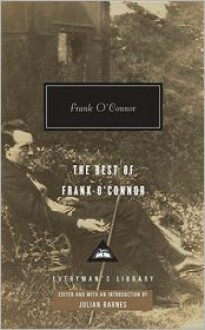 Finally, we see O’Connor grappling, in both fiction and memoir, with the largest questions of religion and belief.The Best of Frank O’Connor is a literary monument to a truly great writer.